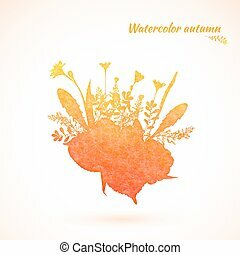 Autumn watercolor. 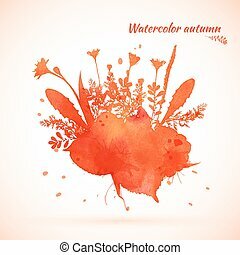 Abstract autumn, watercolor. 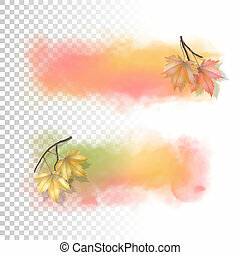 illustration contains transparency and blending effects, eps 10. 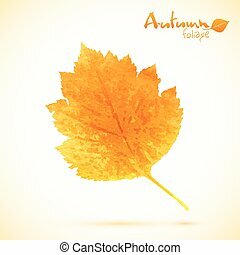 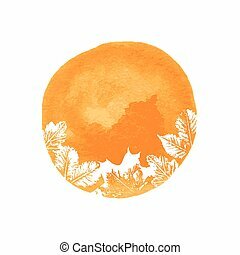 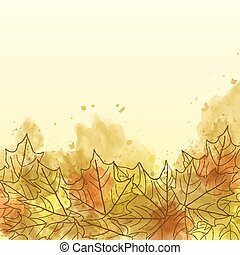 Autumn painting banner. 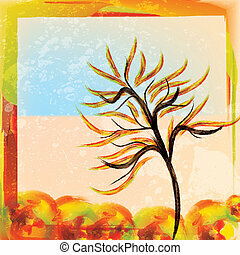 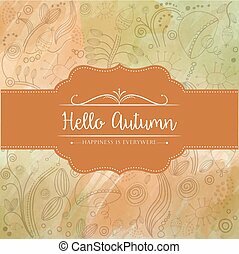 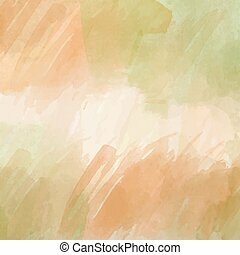 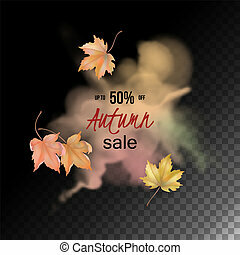 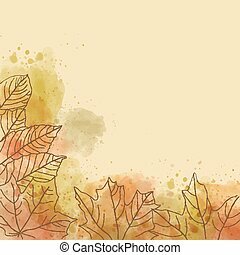 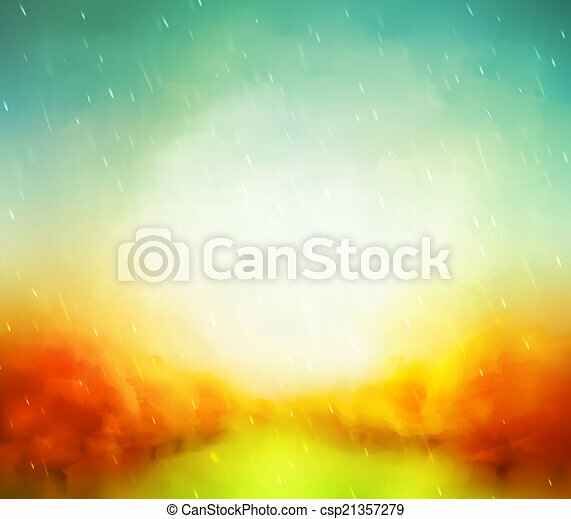 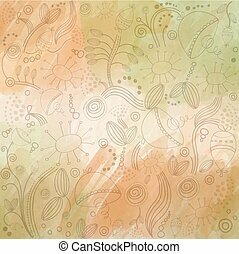 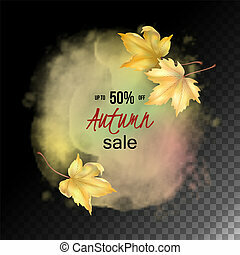 Vector watercolor splash with transparent details and falling leaves.